We love salmon and eat it often. I normally cook it with fresh dill but I decided to switch it up and try using basil this time. The combination of flavors from the lemon, basil, garlic, and butter made this salmon extra special and it paired nicely with the rice and zucchini I served it with. 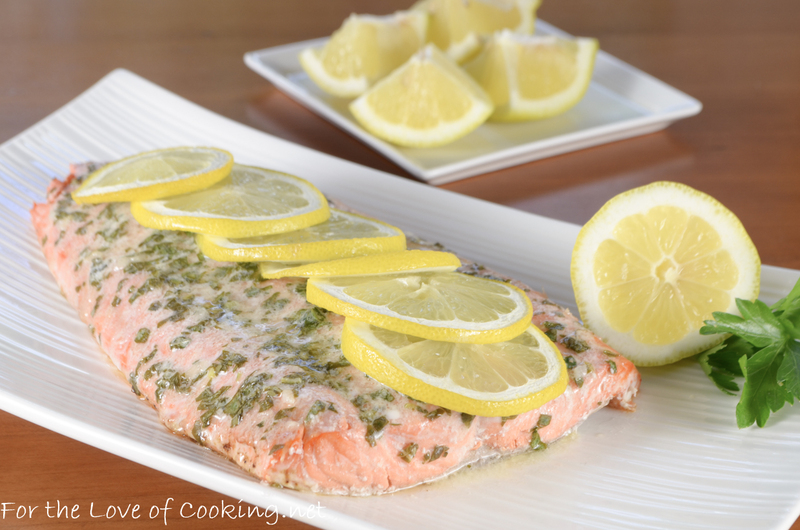 We all thought this basil and lemon baked salmon was delicious and it disappeared quickly. Place the salmon skin side down on the prepared baking sheet. 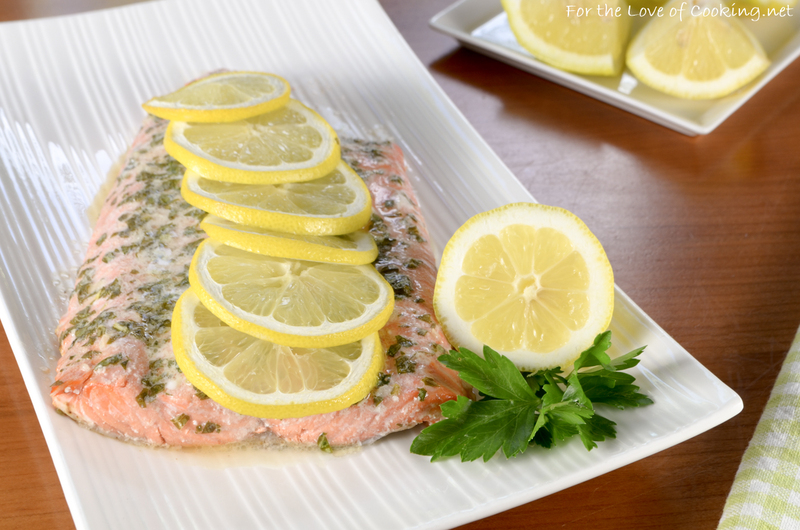 Combine the butter, lemon juice, chopped basil, and garlic together then spread evenly over the top of the fish. Season with sea salt and freshly cracked pepper, to taste. 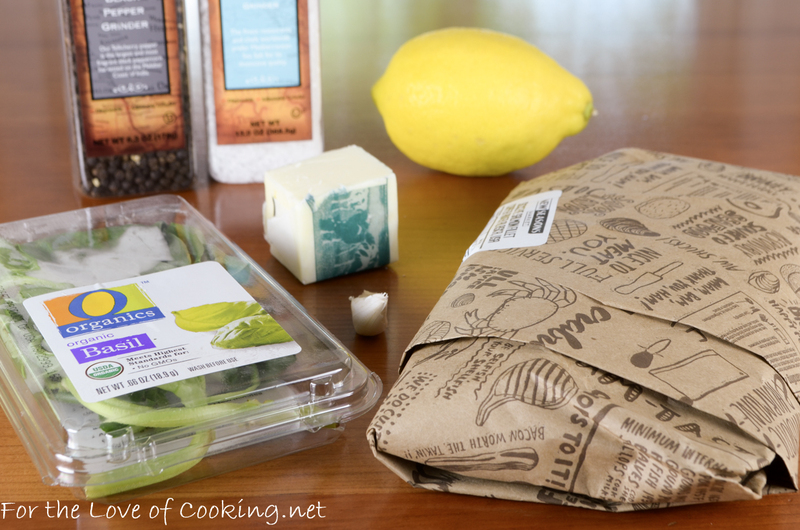 Add a layer of lemon slices. Place the salmon skin side down on the prepared baking sheet. Combine the butter, lemon juice, chopped basil, and garlic together then spread evenly over the top of the fish. Season with sea salt and freshly cracked pepper, to taste. 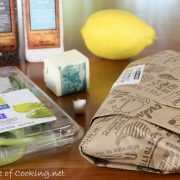 Add a layer of lemon slices. 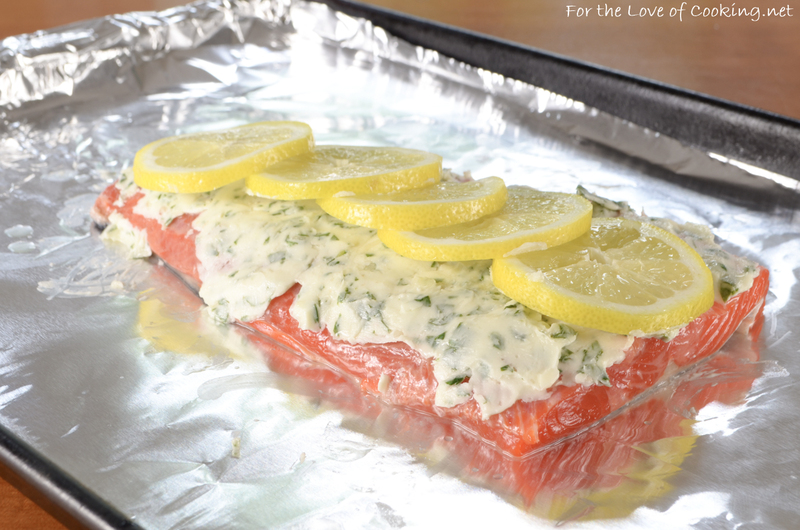 Place into the oven and bake for 10 minutes or until the salmon flakes easily with a fork. Remove from the oven and serve with additional slices of lemon if desired. Looks delicious and has me craving salmon. Thanks for the reminder that I have frozen salmon in my freezer! The basil and lemony topping sounds so lovely. So do we and I love your use of basil. Looks like a wonderful dinner. That salmon looks so very fresh! Can’t believe I have never thought of using compound butter for salmon, it makes total sense. I’m stealing this idea! It sounds wonderful! I’m trying this tonight. 🙂 I’m curious AND drowning in zucchini. How did you prepare your zucchini?